I WANT GERMAN!! !i want 2 learn the songs in german 2 you know! !love yuo lots bill,like jelly tots!happy b-day kaulitz twins. ok, listen, Eric Cartman! dont make fun of david bowie OR Bill Kaulitz! look it up and u will find out that Bill is NOT gay! Tokio Hotel rocks! wtf? do all the german songs on here have the lyrics in english?? 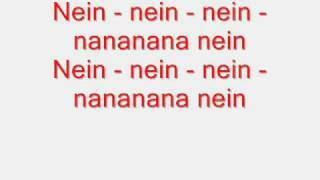 if theyre going to put the lyrics to schrei and scream on here i think one of them should be in german...? U guys are such sensitive little girls that havent have their periods yet. IT is not beautiful, that thing on two legs is the gayest thing since david bowie, and thats NOT cool. RESPECT MY AUTHOTITAH!